Morning lights around Bergen’s Vagen harbor, the fishmarket in the center and the funicular railway up Mount Floyen behind. Add tags for "Morning lights around Bergen’s Vagen harbor, the fishmarket in the center and the funicular railway up Mount Floyen behind.". Be the first. 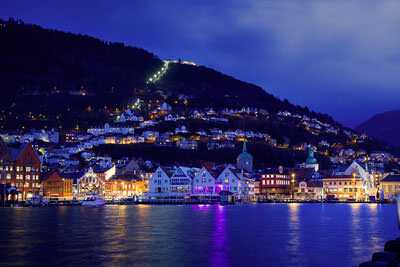 <http://www.worldcat.org/oclc/870210400> # Morning lights around Bergen’s Vagen harbor, the fishmarket in the center and the funicular railway up Mount Floyen behind. schema:about <http://www.worldcat.org/oclc/870210400> ; # Morning lights around Bergen’s Vagen harbor, the fishmarket in the center and the funicular railway up Mount Floyen behind.